“They threw us down these marble stairs, and kicked us. 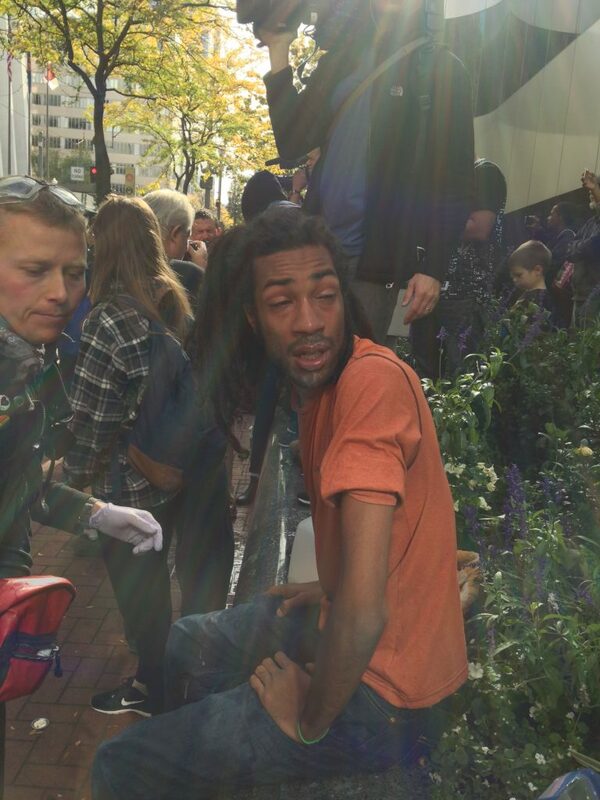 I got knocked out because I got stomped on.” These are the words of Don’t Shoot Portland organizer Micah Rhodes, sitting outside Portland City Hall near the very same marble steps. Rhodes recounted the actions of the Portland Police Bureau in the wake of a protest against the City of Portland’s vote to approve the new Portland Police Association contract. Rhodes and others camped outside City Hall the evening before the Oct. 13, 2016 City Council meeting with hopes of speaking out against a police contract they say gives police too much leeway in reviewing body camera footage, and gives Portland police too much money. They also would prefer the outgoing mayor Charlie Hales not be allowed to negotiate a contract that the incoming Portland mayor, Ted Wheeler, will have to live with. However, when the 9:30 a.m. City Council meeting began, they learned that there would be no testimony, and when tempers flared in the council meeting, the meeting was paused and moved to the Rose Room, with restricted access. In this meeting, seen via a live feed broadcast in the council chamber, the council voted 3-1 to approve the collective bargaining agreement between the Portland Police Association and The City of Portland. 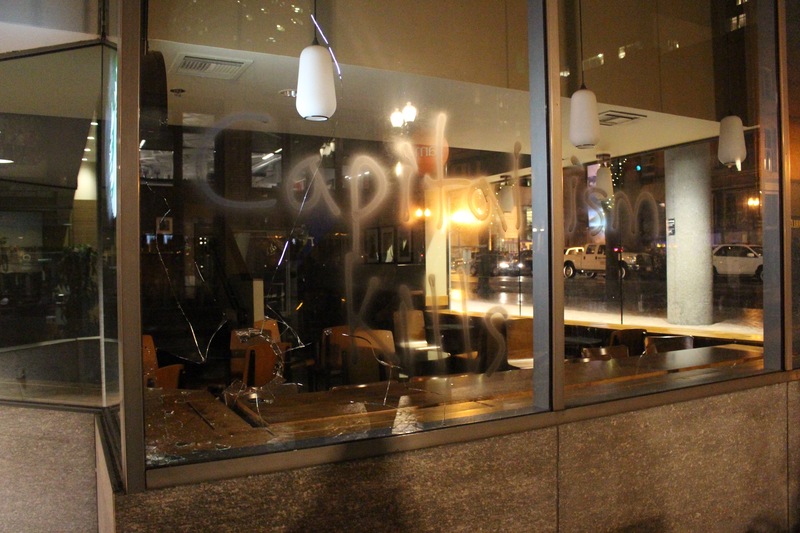 The legality of this move has been called into question, and Portland Copwatch founder Dan Handelman said that he would like to see the vote thrown out on procedural grounds due to the city council violating the city charter in order to push the contract through. The accessibility, as it pertains to the Americans with Disabilities Act, of this maneuver is also questionable. Phillip Wolfe, an Oregon Representative for the Deaf Grassroots Movement, said that when the Portland City Council decided to recess and move to the Rose Room there was no one from the city who could speak American Sign Language to communicate this to him. 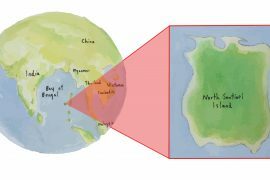 “I had no idea what was going on,” Wolfe wrote. This was not the first time Wolfe said the City of Portland had failed to make City Council meetings accessible to him. After the vote was announced protesters began moving tents and supplies from outside into City Hall. 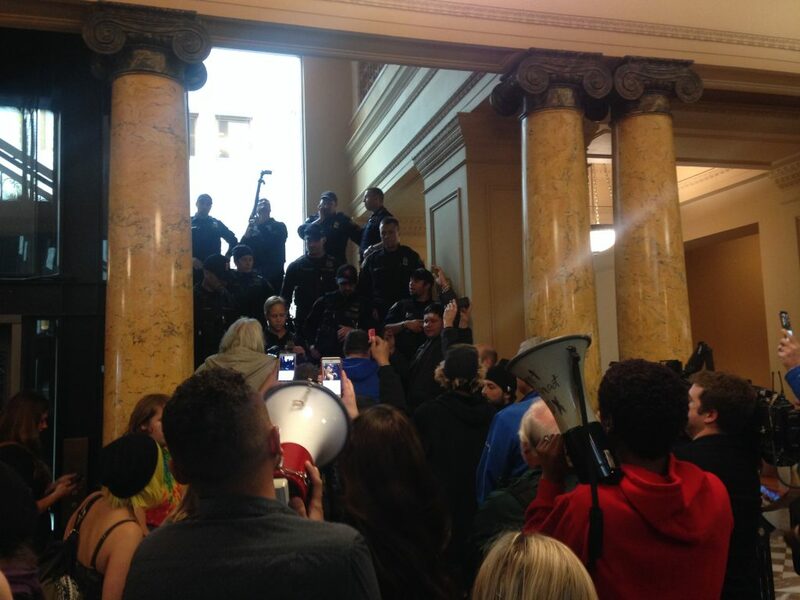 “We just gotta occupy City Hall,” said Don’t Shoot Portland founder Teressa Raiford, while also referring to City Hall as “our building.” Eventually, due to concerns related to the tents running afoul of the fire code, City Hall was closed and security guards announced via megaphone that everyone needed to exit the building. No heed was paid to the security guards, and so the Portland Police Bureau was called in to clear the building. Dozens inside City Hall were taking down tents and in the process of exiting City Hall with their belongings, but this apparently was not happening fast enough for the City and the police began pushing and shoving anyone caught in their path toward the exit.“Multiple people got hit in the face” and were “bludgeoned with batons,”said Rhodes about the force-out. Rhodes also said that multiple people were also pepper-sprayed by police. Rhodes also claims that police did not let paramedics through to attend to the injured. 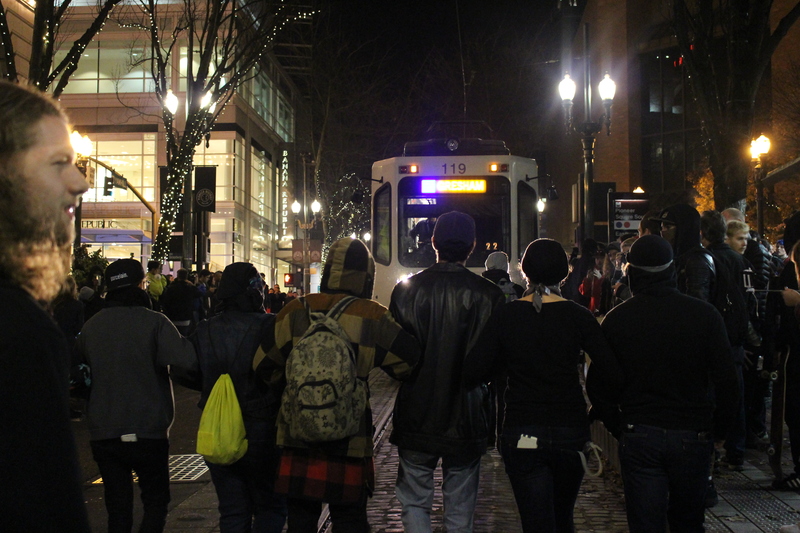 After the force-out, protesters took to the streets and blocked the southbound 5th Avenue TriMet lightrail line. 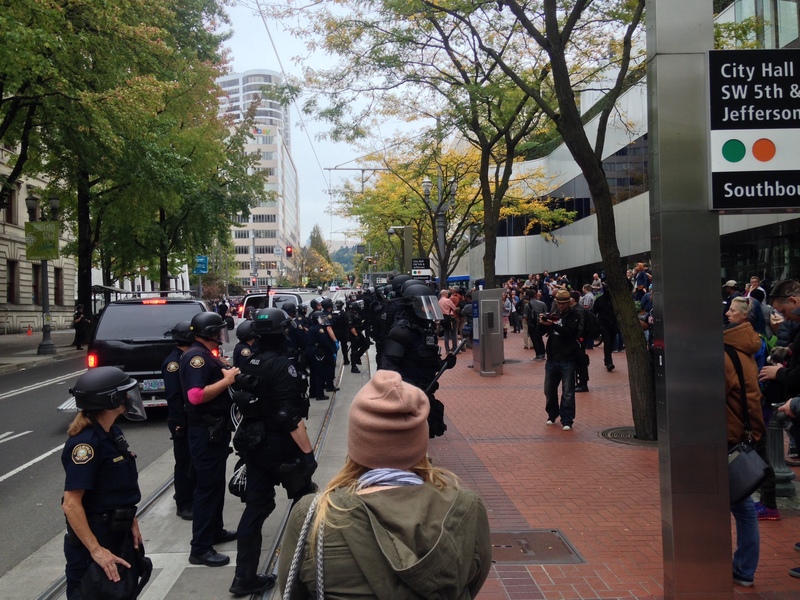 Eventually, close to 100 riot police composed of Multnomah County sheriff’s deputies and Portland Police arrived and chased the protesters back onto the sidewalk and made several arrests—leaving once the street was clear. However, as the riot police left, protesters would retake the streets. This would again summon the riot police. The scene replayed itself several times. Police say they arrested 10 people. After several hours, the protest was called, and organizer Gregory McKelvey announced that they had something big planned in two days. A Portland Police Bureau press released afterword, while not addressing the allegations of police brutality directly, encouraged anyone who witnessed what they feel to be police misconduct to get in contact with the city’s Office of Independent Police Review to submit a formal complaint, and to provide as much video, photos and information as possible. 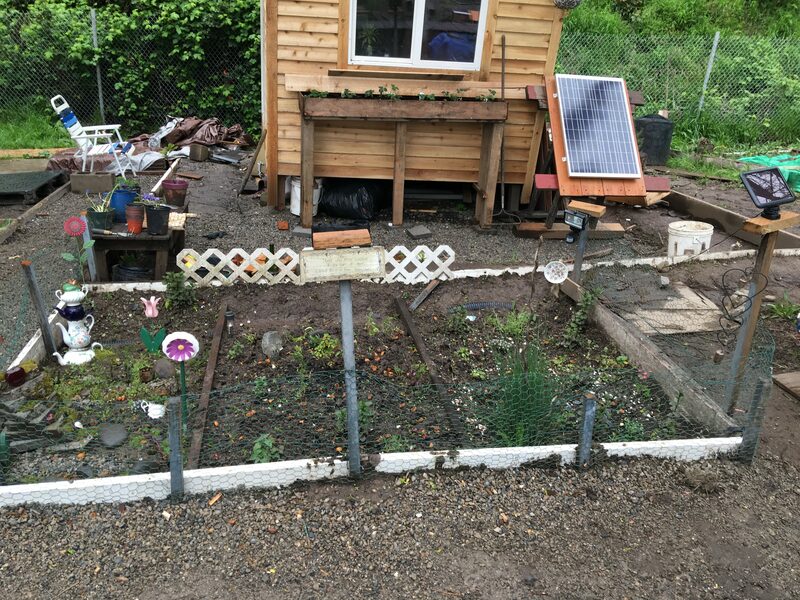 McKelvey’s plan was a campout outside Mayor Hales’ southeast Portland home. The campout only lasted until Saturday, due to extreme weather, and the threat of falling branches and power lines in the tree-heavy neighborhood. The only council member who voted no on the contract was Commissioner Steve Novick, and Rhodes attributed his vote to the fact that Novick is the only commissioner up for reelection Nov. 8 where he squares off with a game Chloe Eudaly. Novick could not be reached for comment on the police contract vote or issues related to the Americans with Disabilities Act despite multiple emails as well as a phone call to his office. Protest Coverage – Saturday November 12, 2016.